Bank of Maharashtra Jobs Recruitment Notification 2018.Bank of Maharashtra inviting applications for the positions of Specialist Officers.Interested and Eligible candidates can apply for the positions. Number of Specialist officer posts to be filled in Bank of Maharashtra is 09. MBA/Master’s degree holders/ Ph.D holders can apply for the posts. ICWA/MA holders can apply for manager post. Candidates age for economist scale-II and manager posts can be in between 23 t0 33 years. Candidates age for economist scale-IV can be in between 28 to 40 years. Scale wise pay scale details are given below. 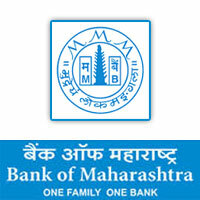 Mode of applying for Bank of Maharashtra recruitment is through online mode. 23rd September 2018 is the last date to apply.